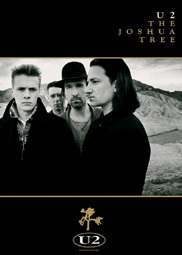 About Joshua Tree Pictures Photography, Prints and Info. ORIGINAL PHOTO PRINTS: We offer limited edition museum quality art photo prints, professionally printed on excellent, museum choice FUJIFILM Fujicolor Crystal Archive Paper. 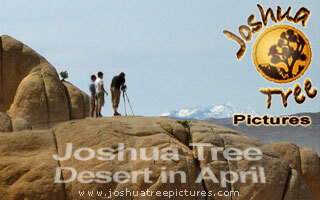 All images in this gallery were taken in Joshua Tree National Park, California, USA. 1. Allow 5-7 days for ordered prints shipment delivery within the Continental US. If you buy digital files you can have the desired image sent via e-mail to you as fast as in one hour! 2. All prints shipped in a secure packaging using UPS or USPS. We take great care in handling photography and we guarantee that you will receive your picture free from damage and enjoy it for many years. 3. We guarantee the quality of this item and your satisfaction is important to us. If you are not completely happy with your purchase returns are acceptable within 30 days, in original condition, for a full refund minus shipping costs. Copyright Information: This website, the design, code, all images, photos and artwork (except where specifically noted) are copyright of California Image, www.californiaimage.com. All images on this site have been registered with the US Copyright Office. Photographs may NOT be reproduced for any reason without written permission. All rights reserved. Use of images on personal websites requires permission in advance of use. Failure to obtain permission may result in the offending website being removed from the Internet per the terms of the Digital Millennium Copyright Act. California Image is a Trade and Service Mark of California Image Photography. DISCLAIMER: This website contains images that while copyrighted and owned by California Image, may contain representations of material belonging to other third parties, including possible copyrights, trademark or service marks. California Image reserves the right to refuse or restrict the sale of such images for commercial use or where any use may possibly conflict with the mentioned copyright, trademarks, or service marks. In all cases, California Image claims no connection, association, arrangements, or agreements with the holders of such third party copyright, trademark, or service marks. Furthermore, California Image and the photographer do not endorse any such owner of third party rights, nor does California Image and the photographer claim to be endorsed by any such third party. Joshua Tree National Park is a unique place located in Southern California, about 140 miles east of Los Angeles, near Palm Springs. The eastern part is the low-lying Colorado Desert, and the western side of the park is Mojave desert. Joshua Tree National Park was declared a National Monument on 10th of August 1936 by President Franklin D. Roosevelt and redesignated a National Park 31 October 1994. The original Public Law passed by Congress set aside 825,000 acres as Joshua Tree National Monument. In 1950, the monument was reduced to 560,000 acres. The 1994 Desert Protection Act restored 234,000 acres and upgraded the monument to a National Park. Joshua Tree National Park is opened year round. The peak visitation month is April. Each season adds its personality to the desert's character. Two deserts come together at Joshua Tree National Park. The Colorado Desert, occupying the eastern half of the park, is dominated by the abundant creosote bush. The higher, slightly cooler and wetter Mojave Desert is the special habitat of the Joshua tree, extensive stands of which occur throughout the western half of the park. Joshua trees, Yucca Brevifolia, are found only in North America in the states of California, Arizona, Utah, and Nevada. Confined mostly to the Mojave Desert between 2,000 and 6,000 feet, they thrive in the open grasslands of Queen Valley and Lost Horse Valley in Joshua Tree National Park. Joshua trees can grow from seed or from an underground rhizome of another Joshua tree. They are slow growers, managing less than an inch a year. The trunk of a Joshua tree is made of thousands of small fibers and lacks annual growth rings, making it difficult to determine its age. This tree is not very sturdy because of its shallow root area and top-heavy branch system. But, if it survives the rigors of the desert, it can live a couple hundred years.